Xie Rong is a Chinese lawyer who has been living in England for the past few years. 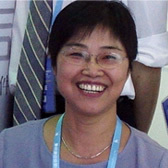 She is the first lawyer from mainland China to have received a licence from the Law Society in England to practice in the UK. As an active member of the ContractStore team, she is not only involved in the production of our contracts in Chinese, but also provides advice on doing business in China to foreign investors.